Elva Nampeyo (1926–1985) (also known as Elva Tewaguna) was born in the Corn Clan house where her grandmother Nampeyo lived atop Hopi First Mesa. She was the daughter of Vinton Polacca and Fannie Nampeyo. 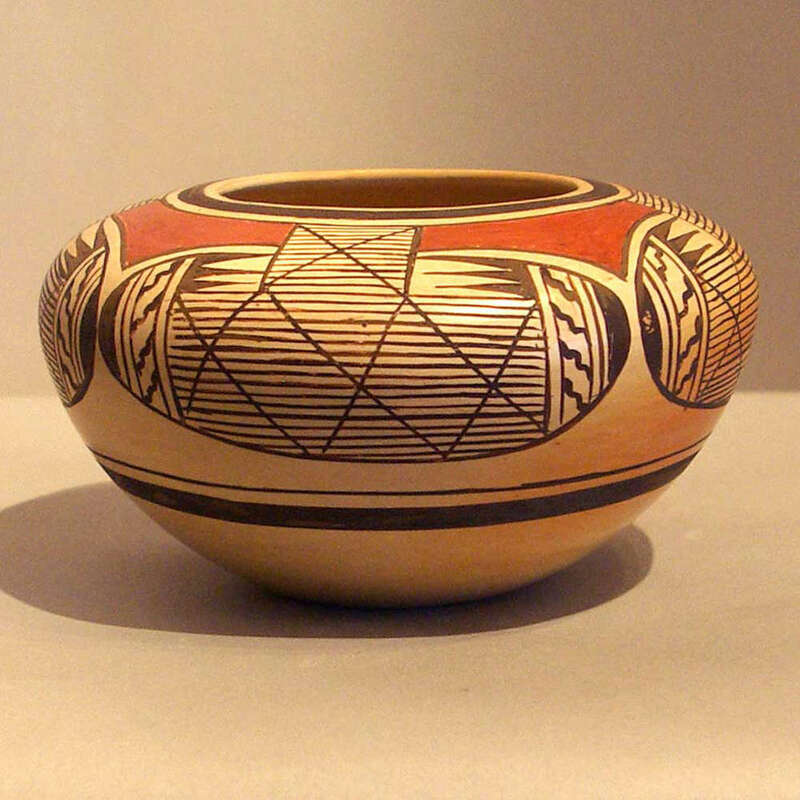 As a child Elva would play with the clay and watch her mother and grandmother make pottery. When she was eleven years old her mother began teaching her to make pottery herself. Elva quickly became an expert at decorating and painting her pottery. 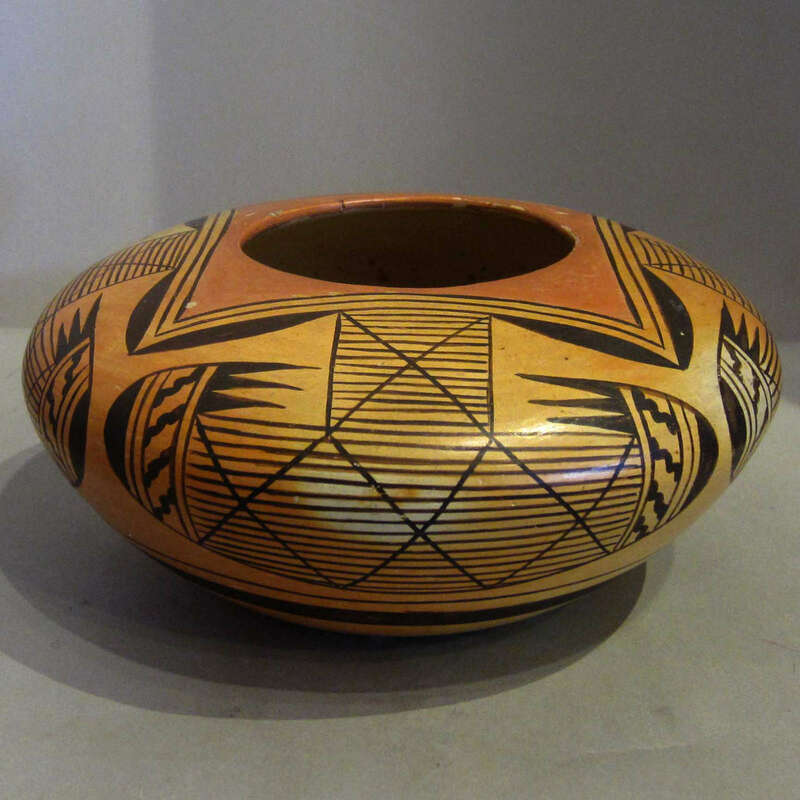 Richard Tewaguna, her husband, never became involved in her pottery making. 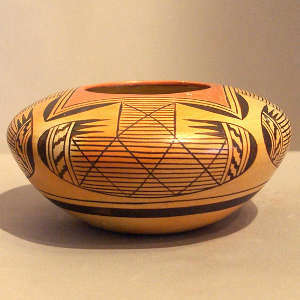 She specialized in black and red on yellow bowls and jars with traditional Hopi migration designs and eagle motifs. On occasion she would break from tradition and try some designs of her own invention but her pieces most often resembled the works of her mother and grandmother. 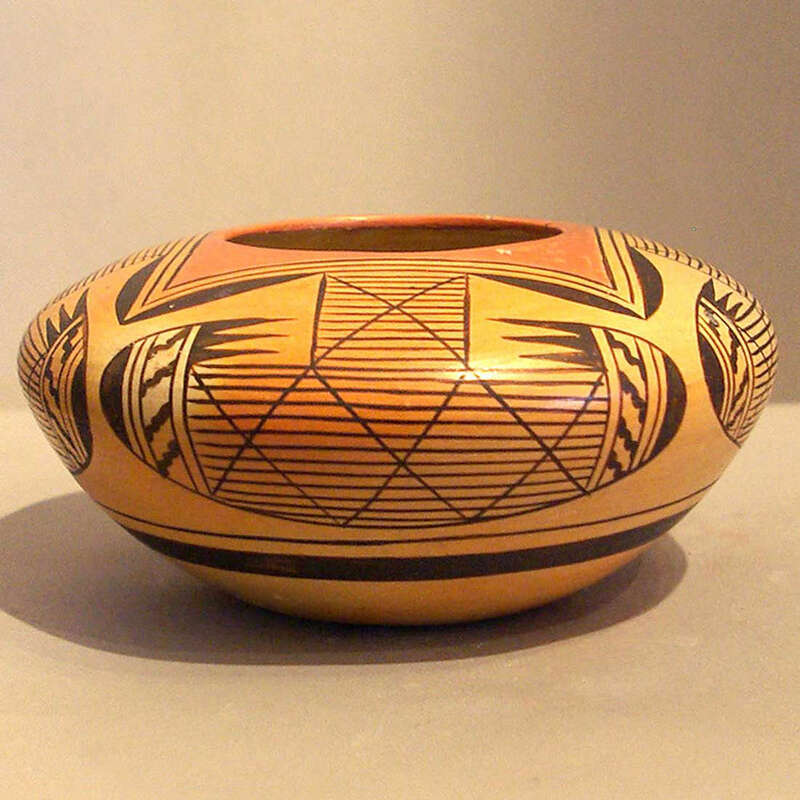 Elva took great pleasure in making pottery and could form as many as eight pots in a day. During her later years she was no longer able to finish her work, so her daughter Adelle would polish, decorate and fire the pottery for her. 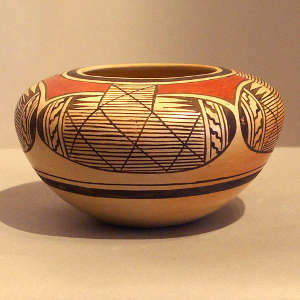 Elva signed her pottery as "Elva Nampeyo" followed by the corn clan symbol, a practice initiated by her mother Fannie.